Some kids are a stickler for the rules. They like to obey every rule to a T and they want to make sure that everyone else is following the rules. They might try to tell the other kids to slow down on their tricycles on the sidewalk. They might try to bust any kid who tries to sneak a cookie out of the cookie jar. That’s when you know that you have a little police officer on your hands! So, what do you do when you realize that your child is destined to be a law enforcement official? Well, we think you should encourage their rule-following ways by dressing them up as a police officer. Deep down, that’s what they really want! 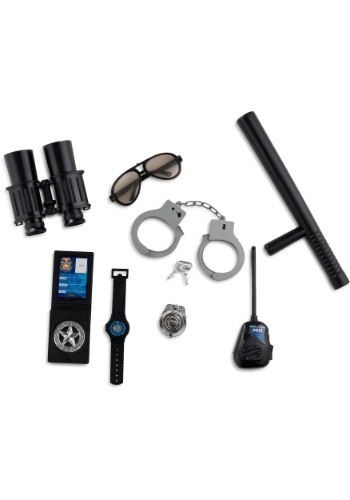 You can start by getting this police deputy play kit. 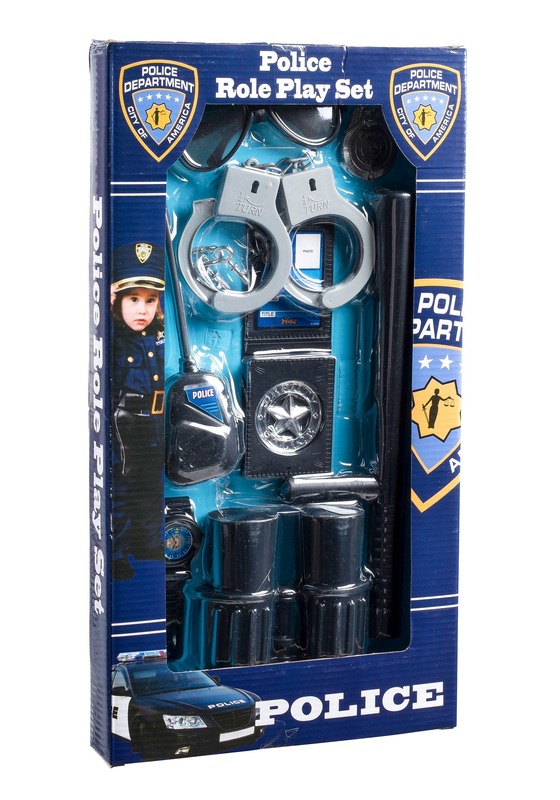 This handy little police officer accessory kit comes with tons of toys for your child to use for playing the role of the newest rookie on the force. It comes with a pair of toy binoculars, sunglasses, a nightstick, handcuffs, a badge, a watch, a wallet and a faux walkie-talkie! That’s just about everything you’d find on a cop’s utility belt. Just suit your little one up with this cop accessory set and your child will be ready to bust any rule-breakers on the playground. Make sure to pair it up with one of our many police officer costumes for kids for the full effect!